Don't ever let anyone tell you pettiness isn't always the best strategy, no matter the situation. For just one recent example of the versatility of saltiness, consider the tomato garden planted in a sinkhole Toronto just to shame the city for neglecting its roads. City News reports that residents had been "calling the city for weeks on end to repair the gaping sinkhole" in the Toronto neighborhood Rathnelly. No action was taken. Locals became increasingly frustrated. And then the pettiest garden of all time appeared. "Someone probably had the impetus to do it, but I think it's like community property now. We all sort of take care of them," resident Bryan Link told CBC. "It's sort of, like, become the community garden." Apparently, this and some media coverage were enough to get the city's attention, as crews were fixing the sinkhole last Friday. 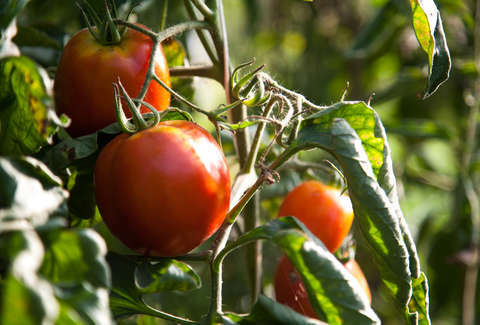 "We have successfully begun the process of transferring the tomatoes to a community garden so they will survive," Toronto's mayor John Tory told CityNews. "And the pothole will be fixed." Let this be a lesson to you all: Act petty.